As you already know, Madrid is a cultural hub for fine art of all types. The film scene in the big city is no exception! 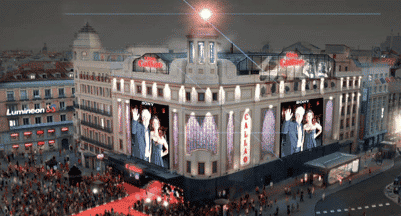 Madrid has everything a cinefile could want, from historic theaters to modern cineplexes, film festivals to drive ins. 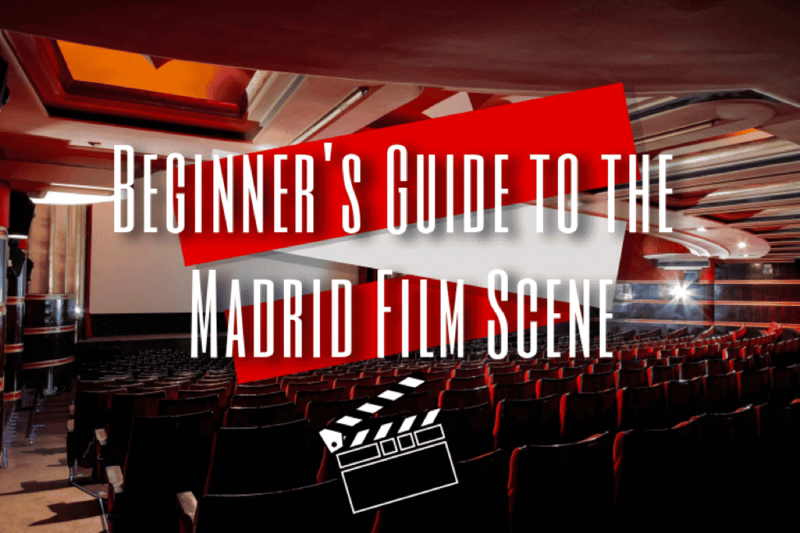 Here is your beginner’s guide to the basics about the film scene in Madrid! Did your favorite director just release their latest film? Dying to see the big blockbuster or action flick? 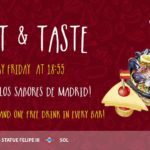 Have no fear, you will almost always be able to find what you’re looking for in Madrid when it comes to English Language cinema. 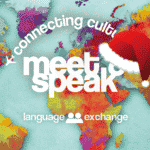 The first thing to know is what tags to look for when purchasing your tickets when it comes to language and subtitles. You’ll want to look out for one of these two labels: VO (Versión Official) or VOSE: (Versión Official Subtitulada en Español). You should be set for any film that you want to see if you make sure that it has been labelled with one of these acronyms. You will quickly realize that they are very common and easy to find. Make sure you don’t find yourself in a theater watching something you can’t understand! Hint: Cine Ideal is an amazing, centric VOSE theatre in Madrid! Looking to see a film with the family? There are a few small differences in the parental ratings systems that you might want to familiarize yourself with. Just look for the colored traffic cones and follow this guide! 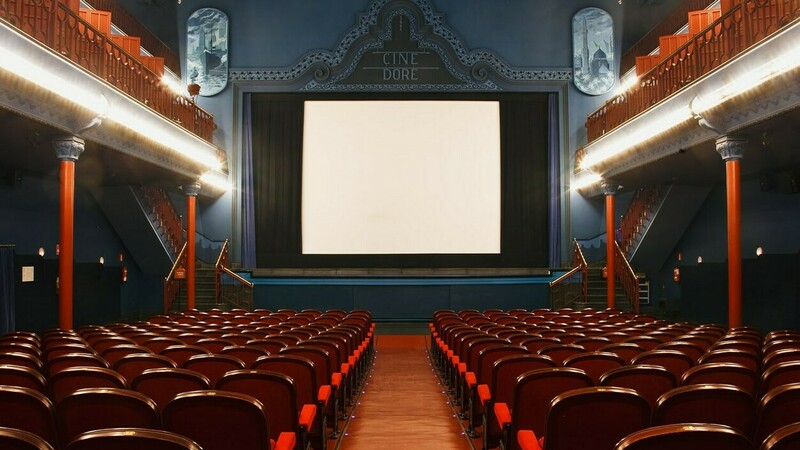 Cine Doré- La Filmoteca: If you’re looking for a more non-traditional film going experience check out this beautiful theater just steps away from the Antón Martín metro stop. There is a constant rotation of classic, international, as well as more current independant film playing at la filmoteca. Not to mention the beautiful theater space! Círculo de Bellas Artes- Cine Estudio: Get your independent cinema fix at the movie theater in the historic Círculo de Bellas Artes. Here you’ll find spanish festival favorites, small time indie flicks, and even expositions on classic filmmakers! El Matadero- Cineteca: Housed in the Matadero, an old-time slaughterhouse converted into a cultural arts center, Cineteca is the only theater solely dedicated to non-fiction films. With three different screening rooms, you’re sure to be wowed by a documentary here, hosted by people who are passionate about alternative and independent filmmaking. 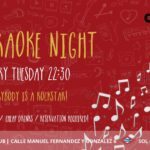 Cines Callao: In the cinematic hub of Plaza Callao, this beautiful theater is a great option for English language as well as Spanish film. If you’re lucky, you might even catch a premiere event in the plaza! Cine Renoir: With multiple locations across the city from Retiro to Plaza de España, Renoir cinema is a great, moderately priced chain of theaters that will likely be showing the latest releases that you’re looking for! 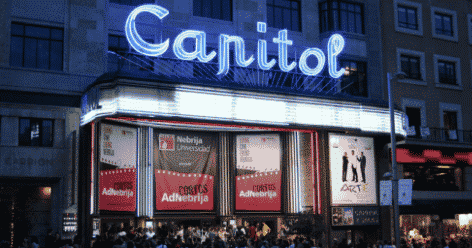 Capitol Cinema: Touring the bustling Calle de Gran Vía? 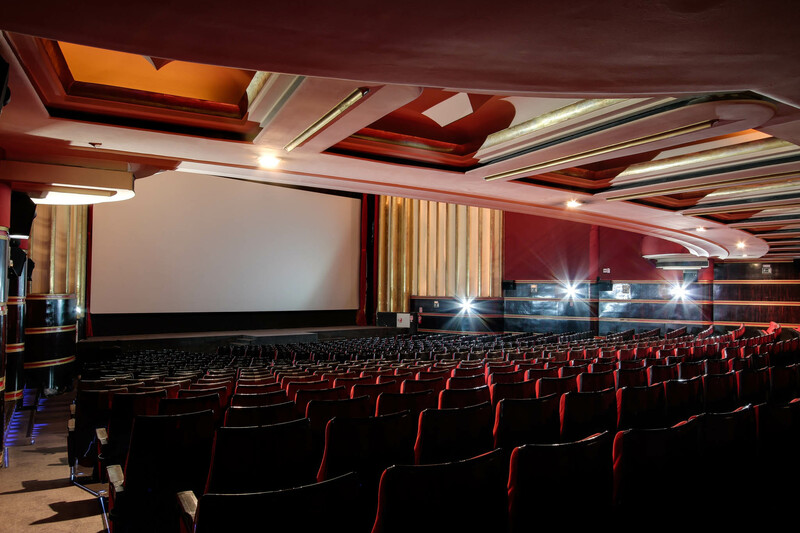 After your shopping or dining, stop in to the iconic Capitol Cinema located right in the heart of the city. 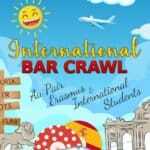 Just look for the large blue marquee sign! There you have it! 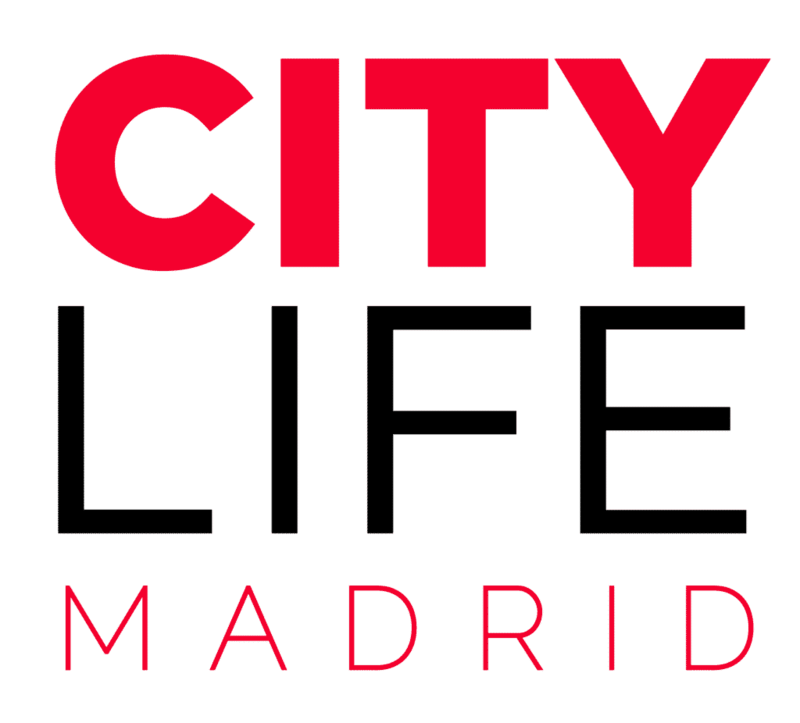 All you need to know to get started exploring the film scene in Madrid. Stay tuned for more film related articles as we really dive deep into what this city has to offer cinematically!